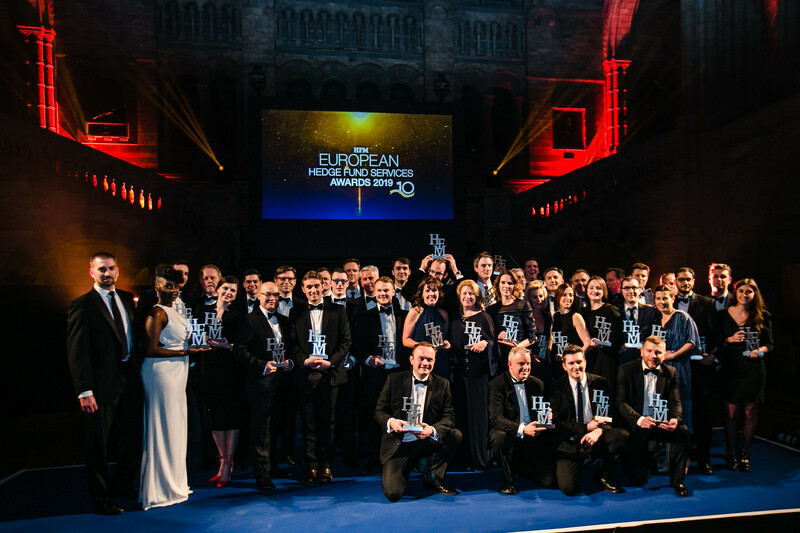 The HFM European Hedge Fund Services Awards, now in their 10th year, aim to recognise and reward hedge fund service providers who have demonstrated exceptional client service, innovative product development and strong and sustainable business growth over the past 12 months. This year’s awards will be a bigger celebration of excellence than ever before. Taking place for the first time as an evening ceremony, the awards will be held at one of London’s most iconic institutions: the Natural History Museum. The rigorous judging process, based on the views of a panel of leading hedge fund COOs, CFOs, CCOs, GCs and CTOs, ensures that the HFM European Hedge Fund Services Awards stand out from the crowd as the ones the big providers really want to win and recognise those driving up service standards across the sector. The criteria for each award is listed below but the judging committee would like to highlight the importance of providing glowing client testimonials as part of your entry. All judges sign NDAs before joining the panel and all information provided as part of the submission will be kept completely confidential. This award is designed to reward executive search firms which have excelled in the service they have provided their hedge fund clients over the past 12 months in terms of supporting the hiring of important staff. Success in this category depends on a mixture of client and revenue growth, the placing of significant talent across the sector and top-class client service standards displayed through glowing client testimonials. This award is designed to reward firms which have excelled in the provision of outsourced accounting and reporting software solutions for the hedge fund sector. Success in this category depends on demonstrating both customer and revenue growth, new innovations and detailing examples of how the product has been able to significantly improve the effectiveness of the accounting and reporting systems of hedge fund clients. This award is designed to reward firms which have excelled in the provision of outsourced treasury management solutions for the hedge fund sector. Success in this category depends on demonstrating both customer and revenue growth, new innovations and detailing examples of how the product or service has been able to benefit hedge fund clients in terms of providing more efficient and effective treasury management arrangements, saving managers time and money. This new award is designed to reward firms which have excelled in the provision of outsourced finance and operations support to the hedge fund sector. This can include outsourced COO or CFO services for start-ups and emerging managers or wider support for larger firms. Success in this category depends on demonstrating both customer and revenue growth, a deep and knowledge support team and detailing examples of how the service has been able to benefit hedge fund clients in terms of supporting their operations and/or finance functions and facilitating business growth. This award is designed to reward hedge fund information and data specialists that have delivered strong business/client growth, innovation and client servicing over the course of the last 12 months. Success in this category depends on a mixture of client and revenue growth, new products, tools or brand developments that demonstrated new thinking and have been well received by the sector and top-class client service standards, backed up by glowing client testimonials. This award is designed to recognise the leading players from across the hedge fund servicing space who are utilising the cloud to provide their hedge fund clients with the best possible service standards. Success in this category depends on demonstrating the ways in which the firm is using cloud technology in a way that is beneficial to the hedge fund, for instance through cost efficiencies, security, better business processes or widening its ability to provide a more institutionalised operational structure. Client testimonials and information on the strong business/revenue growth achieved in the hedge fund sector should also be included. This award is designed to honour firms that have excelled in the provision of outsourced IT infrastructure solutions for the hedge fund sector over the past 12 months. Success in this category depends on demonstrating client and revenue growth, as well as detailing examples of how services provided have benefitted hedge fund clients in terms of improved communications, business development and security, backed up by glowing client testimonials. This award is designed to reward hedge fund risk management providers that have shown client and revenue growth and innovation in providing hedge fund traders, portfolio and risk managers with superior risk, scenarios and portfolio analytics across a range of strategies, including complex and multi-asset investment portfolios. Success in this category depends on a mixture of customer and revenue growth, as well as product or brand development that demonstrates new thinking and which can boast significant success and positive customer feedback through glowing client testimonials. This award is designed to reward hedge fund PMS providers that have shown strong business and revenue growth over the past 12 months alongside innovations and technical support to provide hedge fund traders, portfolio and risk managers with the ability to manage their portfolios in the most effective manner and make real time decisions. Success in this category depends on a mixture of customer and revenue growth, as well as product or brand development that demonstrates new thinking and which can boast significant success and positive customer feedback through glowing client testimonials. This award is designed to reward firms displaying excellence in the provision of a managed service IT model and full IT outsourcing, including IT support, infrastructure and development, across a range of hedge fund models. Success in this category depends on a mixture of client and revenue growth, as well innovations and product or brand development that demonstrates new thinking and which can boast significant success and positive customer feedback through glowing client testimonials. This award is designed to reward firms displaying excellence in the provision of cyber-security servicing for hedge fund clients over the past 12 months. The award is open to vendors with products or services focused on protecting hedge funds from cyber-attacks, including software products, consultancy services or advisory work. Success in this category depends on a mixture of client and revenue growth, as well innovations and product or brand development that demonstrates new thinking and which can boast significant success and positive customer feedback through glowing client testimonials. This award is designed to reward PR firms, marketing firms and specialist communication consultants focused on the hedge fund space who have delivered strong business/client growth, successful innovations and first-class client service levels over the past 12 months. Success in this category depends on a mixture of client and revenue growth, the demonstration of new ideas and thinking in the way hedge funds should be marketing and communicating to investors and the media alongside top-class client service standards, backed up by glowing client testimonials. This award is designed to reward third-party marketers and other firms that are independent of investment bank prime brokers and who are focused on helping hedge funds raise assets. Success in this category depends on a mixture of client and revenue growth, examples of successful asset-raising campaigns and the demonstration of new ideas and thinking in the way hedge funds should be marketing themselves and looking to tap into a diverse range of investor pools. Top-class client service standards should be displayed through glowing client testimonials. This award is designed to reward Ucits platforms which have excelled in the service they have provided their hedge fund clients over the past 12 months in terms of either their hosting of funds, distribution capabilities or both. Success in this category depends on a mixture of client and revenue growth, cost-effective pricing and top-class client service standards displayed through glowing client testimonials. This award is designed to reward managed account platforms which have excelled in the service they have provided their hedge fund clients over the past 12 months. Success in this category depends on a mixture of client and revenue growth, breadth of offering to hedge funds and investors, cost-effective pricing and top-class client service standards displayed through glowing client testimonials. This award is designed to reward prime brokers that have shown excellence and innovation in servicing hedge funds focused on emerging markets. Success in this category depends on demonstrating a strong depth of coverage across emerging market regions and providing examples of how new products, tools and services have contributed to the growth of the firm and improved the client experience. Firms should be able to demonstrate top service standards through glowing client testimonials. This award is designed to reward firms providing managers with valuation services for hard to value Level 3-type assets who have delivered through business/client growth, innovation and client servicing over the past 12 months. Success in this category depends on a mixture of client and revenue growth, new products, services or brand developments that demonstrated new thinking and have been well received by the sector and top-class client service standards backed-up by glowing client testimonials. This award is designed to reward insurers specialising in providing cover to the hedge fund space who delivered across the board through business/client growth, innovation and client servicing over the past 12 months. Success in this category depends on a mixture of client and revenue growth, breadth of insurance solutions offered and new product developments that demonstrate innovative thinking and an understanding of the way the hedge fund sector is evolving. Judges will also be looking for top-notch service standards backed-up by glowing client testimonials. This award is designed to platforms that provide a broad range of turnkey-type services to help run a hedge fund, including legal and regulatory support, trading functionality and support and back and middle office infrastructure. Success in this category depends on a mixture of client and revenue growth, new products, tools or brand developments that demonstrated new thinking and have been well received by the sector and top-class client service standards. A reassurance that the firm will not be negatively impacted by the FCA’s current review of firms providing third-party regulatory platform services and is in full compliance with FCA rules, alongside an understanding of the regulator’s concerns, will also be welcomed by the judges. This award is designed to reward prime brokers that have shown excellence and innovation in their use of technology to serve their hedge fund clients. Success in this category depends on providing examples of how new products or the use of technology internally have contributed to the growth of the firm and improved the client experience. This award is designed to reward prime brokers that have shown excellence and innovation in developing existing and new services for their hedge fund clients. Success in this category depends on providing examples of how new products, tools and services have contributed to the growth of the firm and improved the client experience. This award is designed to reward prime brokers that have shown excellence in providing their hedge fund clients with top-class asset-raising support. Success in this category depends on providing examples of how services, tools and technology have contributed to the growth of the firm and improved the client experience when it comes to raising capital. This award is designed to reward prime brokers focused on smaller mangers who have delivered across the board through business/client growth, innovation and client servicing over the past 12 months. Success in this category depends on a mixture of client and revenue growth, new products, tools or brand developments that demonstrated new thinking and have been well received by the sector and top-class client service standards. This new award is designed to recognise the growth in firms offering outsourced trading support to managers, either in the form of full time or out-of-hours services. It will reward firms who can demonstrate business/client growth, innovation and top-class client servicing over the past 12 months. This award is designed to reward firms providing first-class support to ensure their hedge funds clients are abiding by the depository requirements introduced under the AIFMD. Success in this category depends on a mixture of client and revenue growth, new products, tools or brand developments that demonstrated new thinking and have been well received by the sector and top-class client service standards. This award is designed to reward prime brokers that have delivered across the board through business/client growth, innovation and client servicing over the past 12 months. Success in this category depends on a mixture of client and revenue growth, new products, tools or brand developments that demonstrated new thinking and have been well received by the sector and top-class client service standards. This award rewards firms which have demonstrated a consistently high standard in providing offshore legal services to the hedge fund sector. Success in this category depends on a mixture of client and revenue growth, new products, tools or brand developments that demonstrated new thinking or have responded to regulatory changes and have been well received by the sector and top-class client service standards. This award is designed to reward onshore law firms that have managed to consistently exceed the service expectations of their hedge fund client base. Success in this category depends on providing key examples, backed by customer testimonials, of how the law firm has delivered a high and consistent level of customer service to their hedge fund clients over the past year. This award rewards firms which have demonstrated a consistently high standard in providing legal services to hedge fund start-ups. Success in this category depends on a mixture of client and revenue growth, new products, tools or brand developments that demonstrated new thinking or have responded to regulatory changes and have been well received by the sector and top-class client servicing of new hedge funds launching in the past year. This award is designed to platforms that have provided top quality service to their hedge funds clients in offering them regulatory and compliance support. Success in this category depends on a mixture of client and revenue growth, new products, tools or brand developments that demonstrated new thinking and have been well received by the sector and top-class client service standards. A reassurance that the firm will not be negatively impacted by the FCA’s current review of the sector and is in full compliance with FCA rules, alongside an understanding of the regulator’s concerns, will also be welcomed by the judges. This award is designed to reward compliance professionals that have demonstrated expertise and innovation in providing hedge fund clients with key regulatory advice over the past 12 months. Success in this category depends on a mixture of demonstrating customer and revenue growth, as well as detailing how new initiatives and compliance tools/products have aided the business and helped their clients deal with regulatory changes over the past 12 months. This new award is designed to recognise and reward excellence in the hedge fund service provider community in terms of the support they have provided their hedge fund clients in dealing with the Mifid II requirement to unbundle research costs. It is open to tech vendors, compliance firms, law firms or any other provider of services to the hedge fund sector who can demonstrate excellence in the way their service or product has helped managers deal with this part of the new rules. Success in this category depends on a mixture of demonstrating customer/revenue growth based on the new regulation, as well as detailing how your product or service has aided managers through glowing client testimonials. This new award is designed to recognise and reward excellence in the hedge fund service provider community in terms of the support they have provided their hedge fund clients in dealing with the Mifid II requirements to report trades and transactions. It is open to tech vendors, compliance firms, law firms or any other provider of services to the hedge fund sector who can demonstrate excellence in the way their service or product has helped managers deal with these parts of the new rules. Success in this category depends on a mixture of demonstrating customer/revenue growth based on the new regulation, as well as detailing how your product or service has aided managers through glowing client testimonials. This award is designed to reward insurance brokers specialising in the hedge fund space that have delivered across the board through business/client growth, innovation and client servicing over the past 12 months. Success in this category depends on a mixture of client and revenue growth, breadth of insurance solutions offered, new services or brand developments that demonstrated new thinking and have been well received by the sector and top-notch service standards backed-up by glowing client testimonials. This award is designed to reward hedge fund audit specialists that have delivered across the board through business/client growth, innovation and client servicing over the past 12 months. Success in this category depends on a mixture of client and revenue growth, new products, services or brand developments that demonstrated new thinking and have been well received by the sector and top-class client service standards backed-up by glowing client testimonials. This award is designed to reward PMS providers to that have shown strong business and revenue growth over the past 12 months in the start-up hedge fund space alongside innovations and technical support to provide traders, portfolio and risk managers with the ability to manage their portfolios in the most effective manner and make real time decisions. Success in this category depends on a mixture of customer and revenue growth among the start-up and small hedge fund community, as well as product or brand development that demonstrates new thinking. This award is designed to recognise firms utilising the cloud to provide small and start-up hedge fund clients with the best possible service standards to their needs and budget. Success in this category depends on demonstrating how the firm is using cloud technology in a way that is beneficial to the hedge fund, for instance through cost efficiencies, security, better business processes or widening its ability to provide a more institutionalised operational structure. Client testimonials and information on the business/revenue growth achieved in start-up and smaller hedge fund community should also be included. This award is designed to reward firms that have developed technological solutions to meet the various regulatory and compliance need of hedge funds. This award is designed to reward fund administrators focused on the FoHF market that have delivered across the board through business/client growth, innovation and client servicing over the past 12 months. Success in this category depends on a mixture of client and revenue growth, new products, tools or brand developments that demonstrated new thinking and have been well received by the sector and top-class client service standards. This award is designed to reward larger hedge fund administrators that have delivered across the board through business/client growth, innovation and client servicing over the past 12 months. Success in this category depends on a mixture of client and revenue growth, new products, tools or brand developments that demonstrated new thinking and have been well received by the sector and top-class client service standards. * The figure refers to total global hedge fund assets under administration. This award is designed to reward administrators that have shown excellence and innovation in the way they have helped their European hedge fund clients deal with the various regulatory burdens they face. Success in this category depends on providing examples of products, tool and services which have helped hedge funds meet their regulatory obligations with client testimonials to back-up positive feedback. This award is designed to reward hedge fund administrators and specialist middle-office servicers who have delivered across the board through business/client growth, innovation and client servicing over the past 12 months. Success in this category depends on a mixture of client and revenue growth, new innovations and demonstrable top-class client service standards. This award is designed to reward hedge fund administrators who specialise in providing admin services to small and start-up managers. Success in this category depends on a mixture of client and revenue growth, new products, tools or other developments to support and benefit emerging managers and top-class client service standards demonstrated through glowing client testimonials. This award is designed to reward hedge fund administrators that have shown excellence and innovation in their use of technology. Success in this category depends on providing examples of how new products or the use of technology internally have contributed to the growth of the firm and improved the client experience. This award is designed to recognise and reward excellence in the hedge fund service provider community in terms of the support they have provided their hedge fund clients in dealing with the growing challenge of managing data consumption and utilising data sources across the hedge fund manager. Success in this category depends on a mixture of demonstrating customer/revenue growth based on the new regulation, as well as detailing how your product or service has aided managers through glowing client testimonials. This award is designed to offer firms that have developed custody solutions to meet the requirements of institutional investors and hedge funds trading and investing in the cryptocurrency and token space. This award is designed to reward vendors who collect and/or manage data other than traditional market and pricing data. Success in this category depends of demonstrating robustness and innovation in the areas of data collection, cleaning, structuring and classification, delivery, analytics and visualisations. This award is designed to reward firms that provide a legal services to start-up and smaller hedge funds, from legal documentation to regulatory and compliance advice. Success in this category depends on providing key examples, backed by customer testimonials, of how the firm has delivered a high and consistent level of service to their hedge fund clients over the past year.